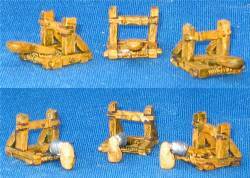 10mm scale - This pack contains 6 Mongonels, 3 with wooden paddle, 3 with sacks. Assembly required, does not come painted. 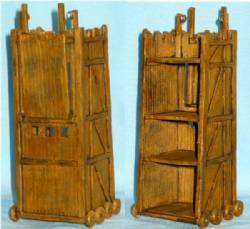 10mm scale - Pack contains 1 Resin cast siege Tower. Photo shows front and back of Tower. Tower sold unpainted. 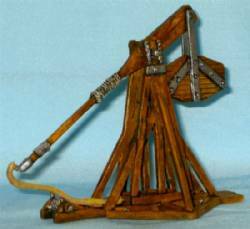 10mm scale - Pack contains 4 Mantlets. Assembly required, Mantlets do not come painted. 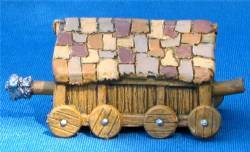 10mm scale - Pack contains 1 Penthouse and battering Ram. Some assembly required. Product does not come painted.